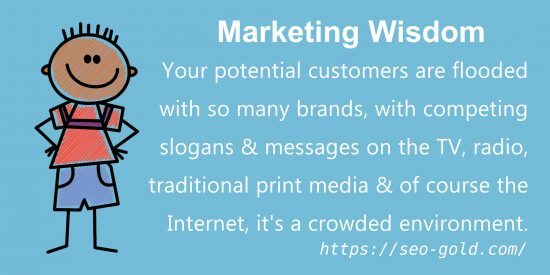 Your potential customers are flooded with so many brands, with competing slogans and messages on the TV, radio, traditional print media and of course the Internet, it’s a crowded environment. 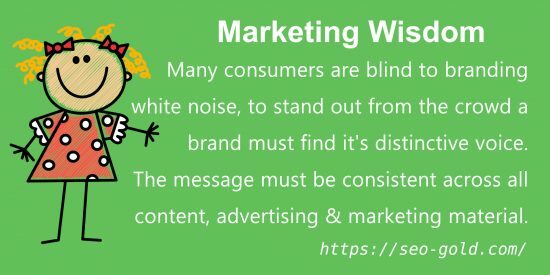 Many consumers are blind to this ‘branding white noise’, to stand out from the crowd your brand must find it’s distinctive brand voice. 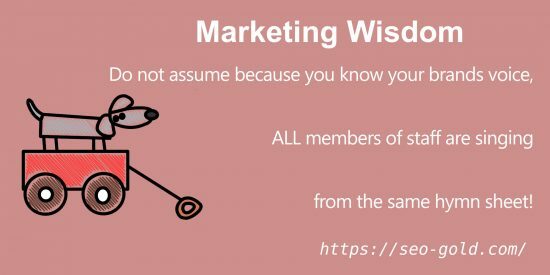 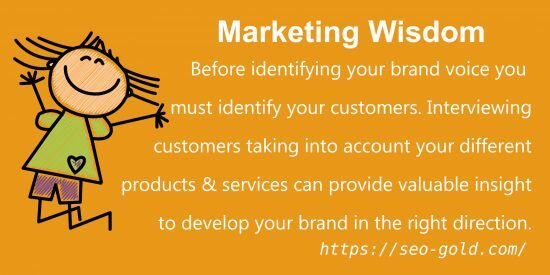 The brand message must be consistent across all content, advertising and marketing material, if your brand voice lacks consistency your customers will be confused and won’t buy your product/services at all or won’t become loyal repeat customers! 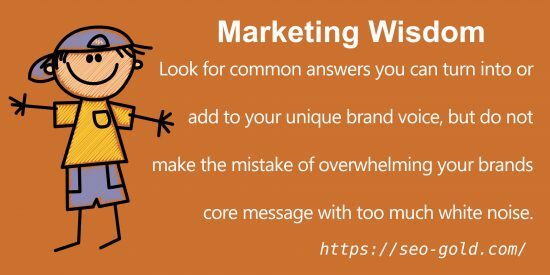 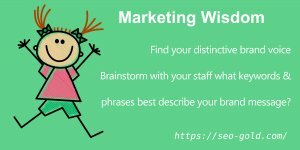 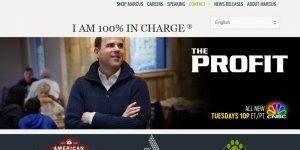 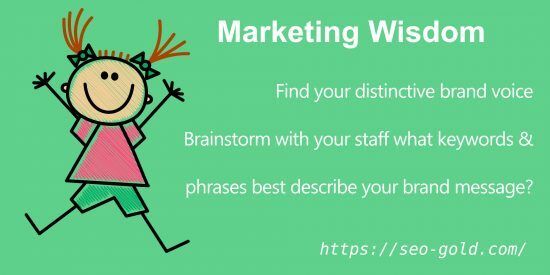 Look for common answers you can turn into or add to your unique brand voice, but do not make the mistake of overwhelming your brands core message with too much ‘white noise’.